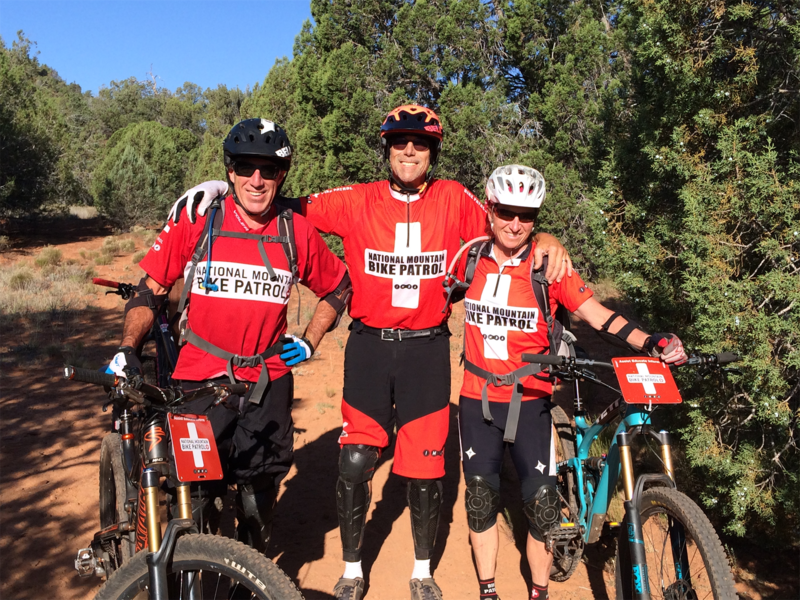 Red Rock Bike Patrol is a NON-ENNFORCEMENT volunteer group whose mission is to ASSIST, EDUCATE and INFORM all trail users in the Red Rock Ranger District of the Coconino National Forest. The Red Rock Bike Patrol consists of 37 volunteer patrollers and is recognized by the National Forest Service as its eyes and ears in the Red Rock Ranger District of the Coconino National Forest. Each patroller receives four hours of instruction, become first aid and CPR certified and must recertify biennially. Volunteer Coaches at Oak Creek & Dr. Daniel Bright Elementary Schools' mountain bike clubs. from the Federal Recreational Trails Program administered by the Arizona State Parks. To support the VVCC's Patrollers, please use the below form and choose the Red Rock Bike Patrol Fund Type.